News about Star Trek and any of it’s many spin-offs, movies, books, and more. The latest film in the Kelvin Universe of Star Trek debuted today, a little short of the series’ 50th anniversary. With a new director and new writers, how does this entry fare? 2016 has claimed another well-loved actor. 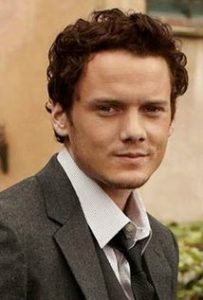 A tragic accident has taken the life of Anton Yelchin, best known as the new Chekov in the post-2009 Star Trek films. He plays the role a third time in next month’s Star Trek: Beyond. It’s sad to see a promising actor cut down so young. If you haven’t seen him in his other non-Star Trek works, I highly recommend Charlie Bartlett and Odd Thomas. Yelchin was killed when his car rolled into him. The vehicle in question may have been the subject of Jeep’s recall. Visual Effects genius and the man behind the effects of Star Trek: The Next Generation and Deep Space Nine, Gary Hutzel, has passed away at age 60. Mr. Hutzel, who was nominated for 20 Emmy awards and won four, was also the FX lead for the Battlestar Galactica reboot, Caprica, and Defiance. 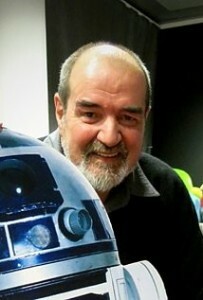 In other news, the man who built R2-D2, Tony Dyson has also died. After his work on Star Wars, Mr. Dyson set up two clubs in the UK to allow people to build their own R2 units. Builders from those clubs were the ones that built the R2-D2 prop used in last year’s The Force Awakens. According to startrek.com, a new Star Trek episodic series is coming to, well, not-TV in early 2017. The pilot will apparently air on CBS, but subsequent episodes will only be available through “CBS All Access,” their $6/month streaming service. It’s unclear as to whether this series will be in the new-movies continuity, the old-series continuity, or something else entirely. Pretty awesome way to raise money for nine charities. I love how much fun the cast seems to be having here. Hopefully that translates to the film itself. 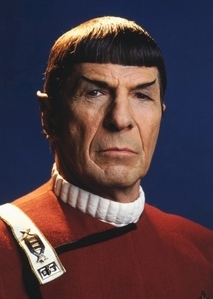 At the age of 83, Leonard Nimoy has passed away from end-stage chronic obstructive pulmonary disease (COPD). I am, frankly, bereft of words at this moment. And I think our readers here know who he was and what his accomplishments were. Please share your thoughts down below. I may have something more coherent later today. Mr. Nimoy, you did live long and you did prosper. Thank you for everything you did for us fans. You will be missed, but never forgotten. 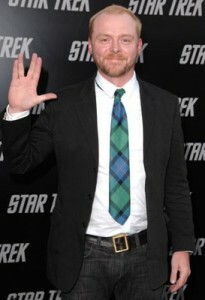 Simon Pegg , who is also reprising his role as Scotty, has been tapped to co-write the next Star Trek film along with Doug Jung. While I like Pegg’s work as a writer (Shaun of the Dead, Hot Fuzz, etc), I’m not sure how that will fit with the more serious Star Trek. Unless they’re going more for a “The Voyage Home” vibe with this film. I do know he’s a huge Sci-Fi fan and has been vocal about his love of the franchise. Jung, on the other hand, has few writing credits, none of which seem to include any genre TV or film. With about a year and half left until its release, the film has been plagued by problems with its script and directors. So how does Paramount celebrate the 50th anniversary of a venerable science fiction icon? 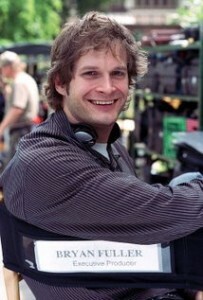 By hiring a director with zero genre credits and is known for brain-dead street racing movies. Apparently the studio saw the tanker-loads of money Guardians of the Galaxy made and wants a piece of that action. So the Star Trek we knew and loved is pretty much dead now, being reborn as just another action franchise. Going to spike my egg nog and drink a toast to its passing. Who’s with me?